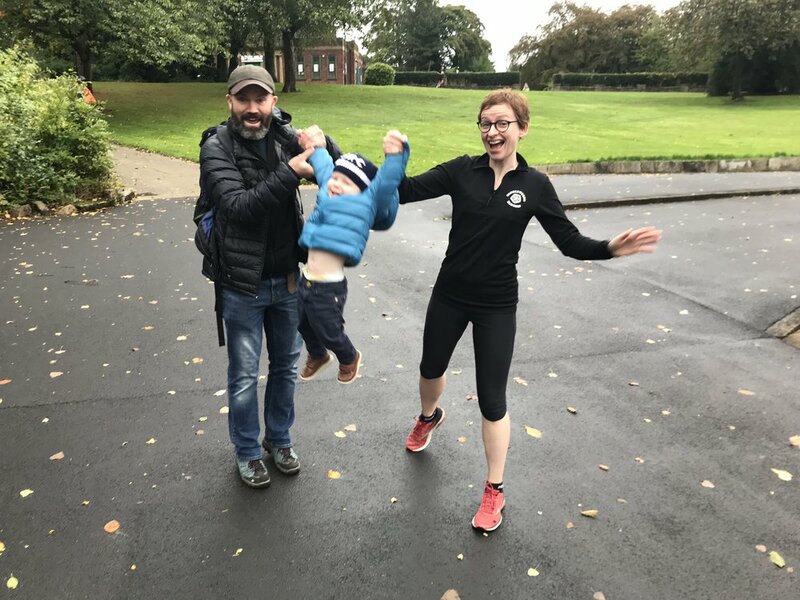 A Park Run, Macclesfield, The Utterley Butterley, and Gerard Campbell. Considering Sunday’s sunshine and heat, yesterday was positively frigid, with a morning temperature of 3 degrees C. Today being Tuesday is sunny with a crisp feel to the air. Huddersfield Canal, Uppermill, Monday 24th September with the walking garbage disposal unit. So it was Monday and now Tuesday whilst I have been typing away. Monday in Mother’s place in Macclesfield and now Starbucks on the Manchester bound side of the M62 at the Hartshead Moor Services. It was cold outside yesterday, and cold inside as Mum’s combi boiler was leaking water when the heating was put on. Something somewhere has gone very wrong in its innards. Typing fast did not seem to be working as a means of generating heat. Found Us candidates and clients would be most impressed at my fortitude. I now shelter on Tuesday afternoon after meetings in Leeds in Starbucks and it’s warm. It was a good running weekend all in told. Saturday saw the Park Run at Hyde Park as one of the races for the Saddleworth Runners Club Championship. Never ran this Park Run before, and never really been a Park Run person. Anyway, printed off the barcode, found the venue and off we went. The cunning plan was to follow Kevin Jones (“Bearded Bullet”) or at least keep up with him. In a nutshell this cunning plan failed at the point where I went the wrong way, not having pre-run the route, which led to burning off a lot of puff when pulling back places I’d lost. Not the best finish, one of those things really, but certainly impressed with the new Inov-8 Rocklites. It has encouraged me to do some more Park Runs as they do help with the old running. Onto Sunday and the Utterley Butterley fell race. A very fast race, more of a trail race that starts from the dam of the Butterley Reservoir then into the moorland by Black Moss and Swellands Reservoirs then back to a finish by Pule Hill. 5 miles with 850 feet of climb and it is fast. Great fun mind you and organised by two of the Saddleworth Runners, Jane and Martyn Hodgson, in order to raise money for the Scouts locally. There were over 100 runners from various clubs and we even bumped into a runner from Hull of all places, over visiting his lad in Manchester. 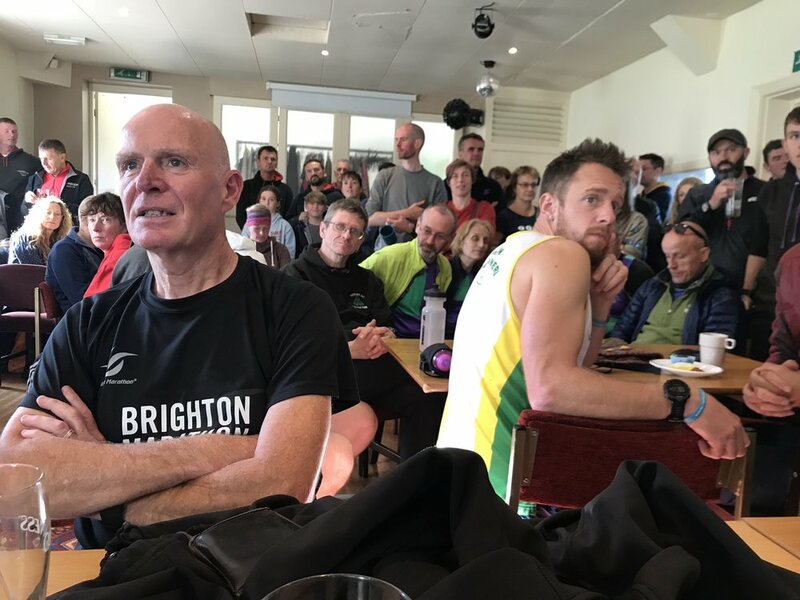 The race is highly recommended, and left yours truly feeing cheerful after Saturday’s Park Run performance. I ran strong despite being tired, kept Bridget Lancashire off, but did not manage to pip Stu Hutchison and Andy Poole, but close to these two fine runners. Overall I came in 21st out of 138 runners with a time of 38.17. Age wise I was 9th. Yesterday (Monday 24th) I headed to Macclesfield for two sad events. 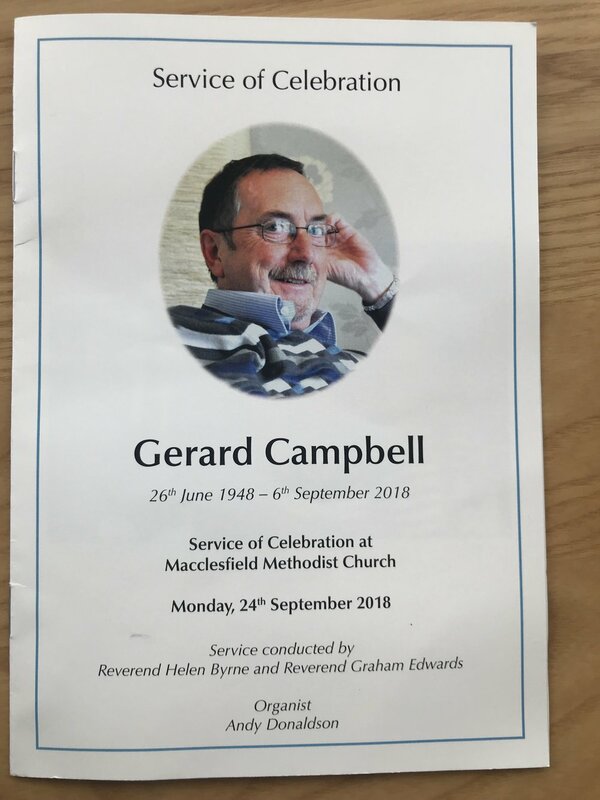 One was to sign the paperwork with the solicitor as part of concluding he Probate process for father, the second was to then attend the memorial service for Gerard Campbell, one of my old A-Level teachers. A rebel from the LSE who dragged me through History and Economics. Gone, but not forgotten. A great teacher who’s end result, with others, was my getting a Law degree at Lancaster - wonders never cease… An inspiration who also produced three wonderful sons, in the form of Simon, Leon, and Duncan.